DAYTONA BEACH, Fla. - May 31, 2018 - PRLog -- ICI Homes recently welcomed hundreds of future homeowners and visitors to its Grand Opening celebration at Mosaic, a new master-planned community in Daytona Beach offering a close-knit community lifestyle for the young and the young at heart. "We were thrilled to welcome a record number of guests to our wonderful grand opening celebration at Mosaic, and we look forward to welcoming many back as residents in the future," said ICI Homes Chief Operating Officer Tom McCall. "The enthusiastic response we received from future residents and guests made our Grand Opening tremendously rewarding for our team, who worked tirelessly to make this event a success." During the Grand Opening event, ICI Homes showcased five beautifully decorated and furnished model homes at Mosaic. Guests also enjoyed refreshments and family friendly activities for kids. Mosaic is designed as a full-life community for all ages and will feature several community social spaces. Club Mosaic, the community amenity center, is under construction with completion anticipated in 2019. It will include two swimming pools, a state-of the art fitness center, activity room and an event lawn. A picturesque boardwalk will flank Lake Mosaic where residents can spend a sunny afternoon fishing or enjoying peaceful relaxation. Mosaic will include a connected network of wide sidewalks, pathways and boardwalks, perfect for walking or running while offering scenic spots to sit, relax and enjoy the views. Young residents will enjoy Hopscotch, Mosaic's children's playground, and residents of all ages will enjoy the community garden and amphitheater. Planned for 1,200 homes, Mosaic features one- and two-story, energy-efficient smart homes with spacious, open floor plans ranging in size from 1,650 square feet to more than 2,750 square feet of living space. In addition to the community's spectacular conservation and lake views, homes are offered a variety of exterior elevations including traditional and modern styles by two of the area's best builders, ICI Homes and Adley Homes. 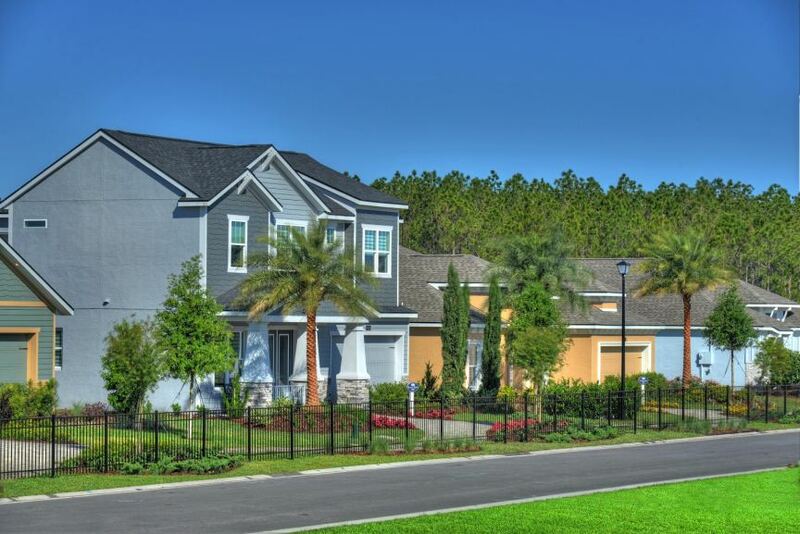 All of the community's homes are customizable to suit the homebuyer's lifestyle. Home and home-site packages at Mosaic are priced from the mid-$200s to over $500,000. "Mosaic is a full life community, offering smart, technology-connected homes and an array of amenities," McCall said. "We've experienced interest from young families to empty nesters, and our sales team has written dozens of contracts. I encourage everyone to visit and see what all the excitement is about at Mosaic." Mosaic is located west of Interstate 95 off LPGA Boulevard, just west of the Florida Tennis Center, in Daytona Beach. The community is near shopping, business centers, the beach, the river and Tiger Bay State Forest. For more information, call (386) 222-0150 or visit www.mosaicdaytona.com.